I feel a little guilty about what I posted last night, so if ya read it, forget it happened. I’m handling that subject with much more grace and tact in the novel I’m writing and I agree with Shakespeare – no one is evil through and through once you know their motivations and why they are the way they are. I’m still having a great time in Berlin. 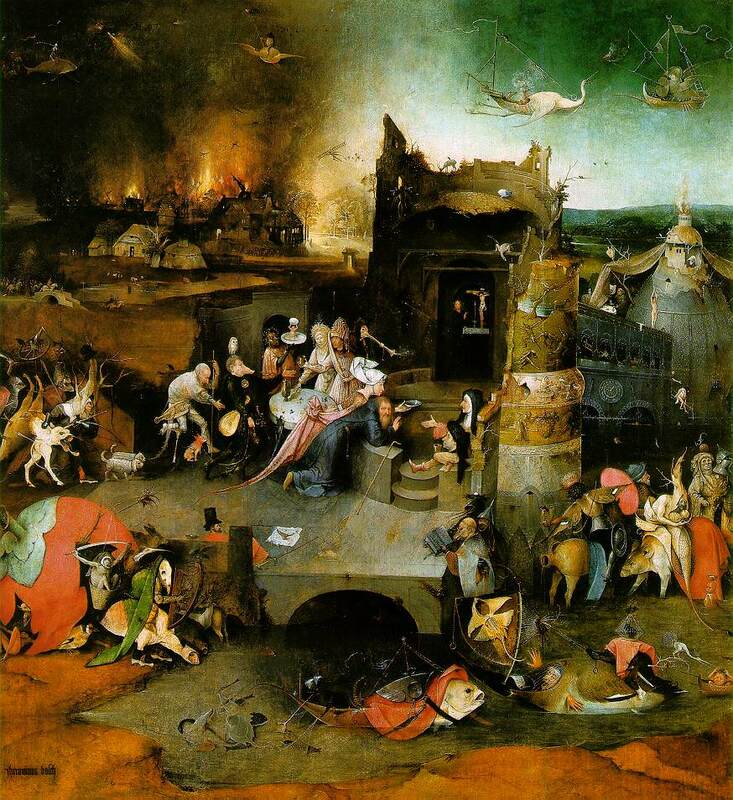 Here is 1/3 of a triptych by the Dutch painter Hieronymus Bosch (1450-1516). It’s called The Temptation of Saint Anthony, and I saw it when I was in Lisbon. I studied it for a long time and there was a movie about it on the first floor and when I left the museum everyone in the city began resembling these creatures, myself especially.